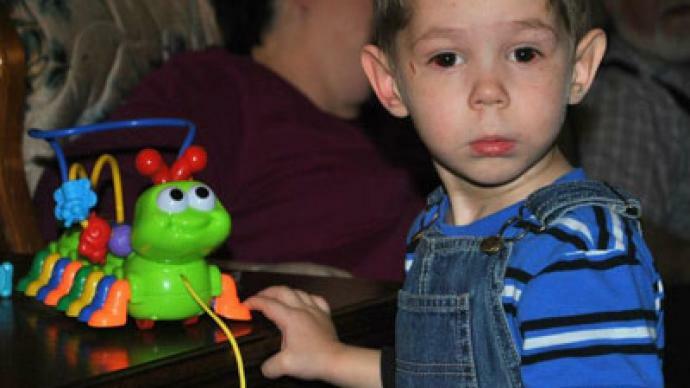 Russian politicians and media are outraged by the death of a three-year-old adopted Russian boy and US silence on the matter. The boy was reportedly brutally beaten in Texas by his adoptive mother, who allegedly also gave him psychotropic medication. Maksim Kuzmin was adopted at the beginning of November 2012. Just two-and-a-half months later he was found dead, on January 21, 2013. Russia has reacted extremely critically to the fact that the US waited almost a month before notifying Russian authorities about what happened. Even then, it was Texas’ law enforcement authorities that spoke out, while the other US channels remained mute on the subject. Russia’s Investigative Committee has launched a probe into the death of Maksim, allegedly at the hands of his adoptive American family. Investigators stated they will be adding adoptive mother Laura Shatto’s name to the international watch list and applying for her arrest. The US State Department confirmed that it will assist Russia with the investigation and help to coordinate talks with Texas. On Tuesday, senior Russian embassy officials in the US, along with a Houston consulate staff, have met with Texas authorities and Maksim's stepfather. They have confirmed that the local forces are fully engaged in the case, and expressed hope that any indication of a criminal component to the child's death will be dealt with swiftly by the law. The US Embassy in Russia has expressed condolences via its Twitter account. “We deeply regret the death of the child in Texas. A death of a child is always a tragedy,” the statement said. “It would be irresponsible to make conclusions on who is responsible for the death [of Maksim] before autopsy results are analyzed and the investigation is complete,” the statement from the US embassy in Moscow read. US Child Services is also investigating claims that the child was severely abused, but thus far cannot verify anything, stated Texas Child Protective Services (CPS) spokesman Patrick Crimmins. There had been several reports of physical abuse and neglect, but the authorities are still waiting for final autopsy results and thus far no arrests have been made and no suspects identified. An investigation usually takes around 30 days, but when the law enforcement is also involved it may take longer, said the spokesperson. ­RT's Anastasia Churkina visited the area where the family's home is, and reports on her Twitter account that Ector County Police has said in a statement that it does "not issue a press release on every death that occurs [there]". She also tried to phone the home, but it went straight to the answering machine, saying "If you are a reporter, we have no comment". When talking to the locals, it was difficult to ascertain how much was known about life in the household, as the rural community appears very spread out and people don't run into each other that often. Maksim died before medics called by Shatto arrived at the scene, Russian Children’s Ombudsman Pavel Astakhov stated, quoting Texan authorities. Preliminary evidence showed that the boy suffered multiple injuries to his head, limbs, abdomen and internal organs prior to death. The Russian Foreign Ministry's special representative for human rights, Konstantin Dolgov, stated that such wounds "could only be caused by strong blows." Maksim was reportedly beaten by his adoptive mother, who had also fed him strong psychotropic medication – Risperdal, which is used for short-term treatment of schizophrenia and bipolar disorders and approved for prescription in the US starting from the age of 10. Yet the Pechorski foster home, from where Maksim came, stated that he did not suffer from any mental illnesses and had no abnormalities when it came to mental and intellectual development. The Russian investigation also revealed that Maksim was adopted along with his brother Kirill from the same foster home as Dima Yakovlev, an 18-month old Russian boy who died after his adoptive American father left him locked inside a vehicle for an extended period of time on a hot summer’s day. The new Russian ‘Dima Yakovlev Law’, which bans all US adoptions in Russia, is named after him. Maksim’s adoption procedure is being looked into separately, including checking whether his relatives were contacted to approve the adoption. Under the law, Alan and Laura Shatto had to undergo medical check-ups in Russia as well as in the US before the court gave the green light to the adoption. Doctors in both countries said the spouses were mentally and physically healthy, Yulia Pron, a spokesperson for Pskov regional court told Lifenews tabloid. She added that the couple had presented all the required documents to the court. In a Moscow clinic, Maksim’s adoptive parents were examined by eight experts, including a psychiatrist. If at least one of the specialists concluded that there were any kinds of problems, the court would have denied them the right to adopt the boy, the press secretary stated. Maksim was born in the town of Pskov, near Russia’s western border with Estonia. Upon arrival to US he was renamed as Max Alan Shatto by his parents Alan and Laura Shatto, with whom he lived in Gardendale, about 350 miles west of Dallas. Maksim’s death comes amid heightened Russia-US tensions, which center on adopted children. The boy’s death was less than a month after the ‘Dima Yakovlev Law’ was signed into law. Russia has reacted sternly to the news that the US waited almost a month to let Russian authorities know of the incident. Russian Chairman of the Duma Committee on Foreign Affairs Aleksey Pushkov believes that Maksim’s death has become the last point in the US adoption ban debate. "The death of another Russian three-year-old baby in the US finally puts an end to the question of adoption of our children in the US. Again, the US authorities are silent," Pushkov tweeted. In response to the news Pskov Governor Andrey Turchak has temporarily suspended all adoptions in the region. Local Russian authorities will also be seeking custody of Maksim’s brother Kirill, who now has been transferred into the care of the extended family of the adoptive parents. It is still not clear what will happen to him afterwards. “Kirill cannot stay in the US since their legal procedures force him to be passed from one place to the next, which is additional trauma for the child. He is not a cat or a dog. 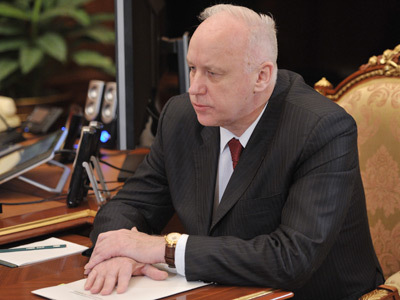 He should come back to the Pskov Region,” said Governor Andrey Turchak. 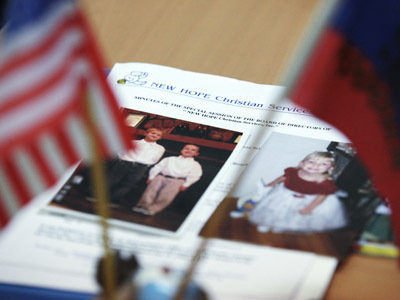 The search for a new adoptive Russian family began on Tuesday. Many politicians expressed shock at how inhumanely Maksim was treated. 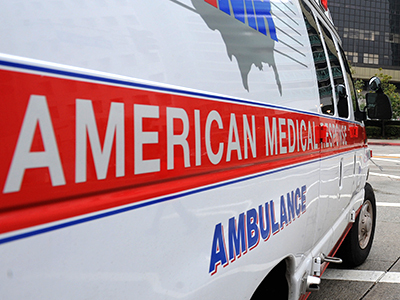 “A new case of a Russian kid to die in the US. 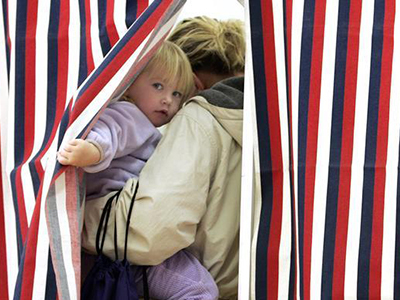 Under no circumstances should Russian kids be given away abroad”, Liberal-Democratic Party leader Vladimir Zhirinovsky wrote on his Twitter feed. Russia’s Duma held a minute of silence in memory of Maksim on Tuesday. 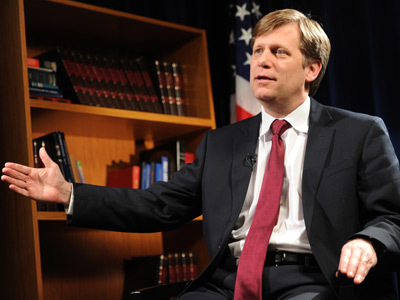 US Ambassador to Russia Michael McFaul has been invited to the Duma to discuss the topic of Russian adoptive kids abroad. First Deputy Prime Minister Olga Golodets and Education Minister Dmitry Livanov were also invited to talk about the measures Russia has in place to protect orphans from being adopted by problematic families.